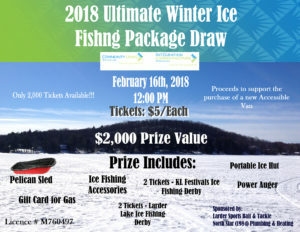 Ticket Sales for the 2018 Ultimate Winter Ice Fishing Package Draw has begun! Only 2,000 tickets available! Tickets are available through many community partners or by stopping by 51 Government Road West Monday to Friday from 9 AM – 4 PM.